This home uses one of the world’s biggest waste problems as it’s basic building material. Can you guess what that is? The result is an incredibly strong, thermally stable home. BTW… it can also look fantastic as you can see here! 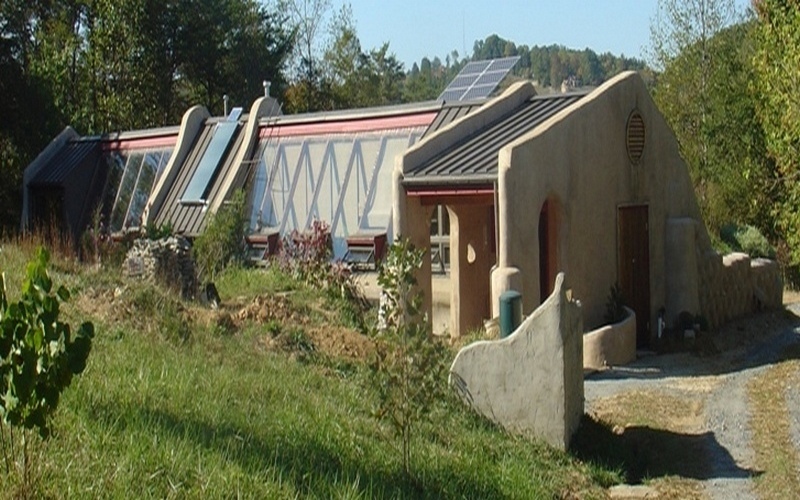 An Earthship – off the grid and self-sustaining. The answer is tires! Lots of them! Which is a much better use than the 30+ million that go into landfill every year in the USA alone! Just try to imagine what 30 million tires look like… and that’s a yearly challenge that can only intensify as more of the world becomes mobile. Earthships are strong, durable, and safe. They are also labour-intensive to build and conversely, low maintenance when completed. They are the ultimate DIY project if you have the time but are on a tight budget. And of course, a lot of friends and extended family can also make a big difference.